Volkswagen Commercial Vehicles and MRW have teamed up on a Joint Mobility Plan with a major presence of sustainable vehicles and alternative energies. 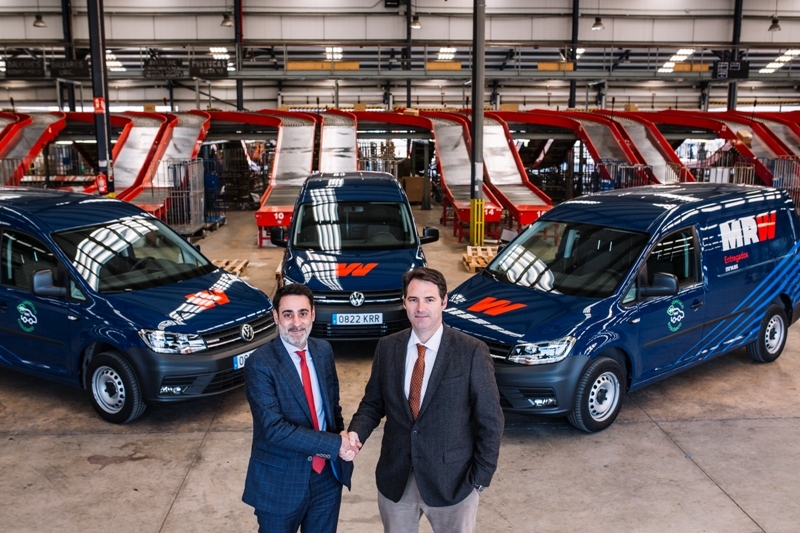 In this line, MRW has added new natural gas vans powered to its fleet: six Volkswagen Caddy and four Volkswagen Caddy Maxi that are already in operation in Barcelona and Madrid. All units have bi-fuel CNG / gasoline technology that reduces emissions and increases efficiency. “In the Caddy CNG we have found what we need: efficiency, profitability and sustainability. Natural gas has a high energy value and burns more efficiently than the most common fuels such as diesel and gasoline. They also offer the range our professionals need for distribution. In cities such as Madrid and Barcelona, ​​where these new vehicles were added, we carry out more than 400,000 pick-ups and deliveries per month,” said Javier Calero, General Director of MRW. “With these Caddy CNG, MRW will reduce NOx emissions by 80% and CO2 emissions by 23%. These vehicles have a range of up to 700 kilometers in natural gas mode and the company will save up to 30% in fuel costs. These are sustainable and efficient vehicles for the MRW activity,” added Alberto Teichman, director of Volkswagen Commercial Vehicles.